St. Augustine's The City of God is a treatise on the nature of virtue and how firmaments in heaven offer us illumination regarding the compasses of values when challenged by the frailty and foolishness of men and the city of men. 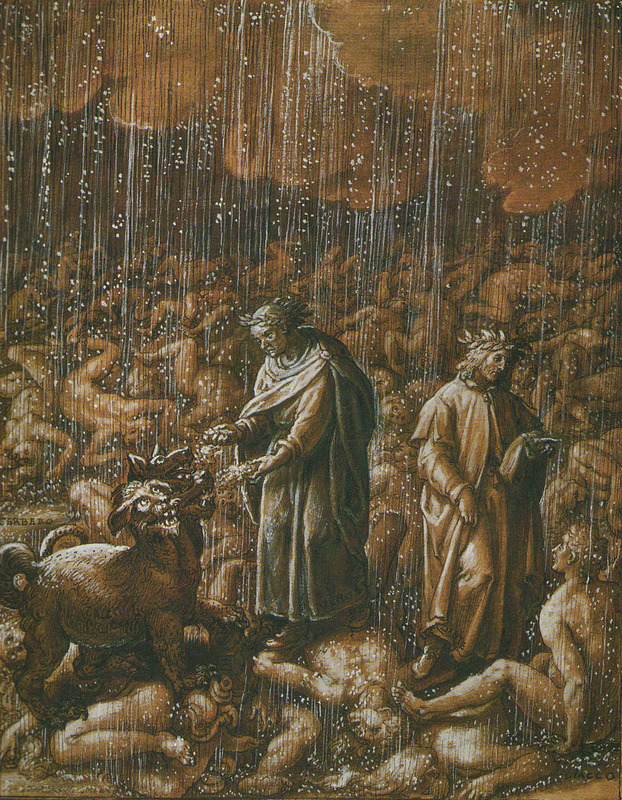 Dante's Inferno is an epic poetic presentation of the experience of seeing and travelling through realms of purgatory and hell and encounters with souls and even monsters who represent perspectives on the reality of punishment, doom, and sin. Augustine and Dante were very different men but both were passionate about metaphysics-related consciousness and studies (and art!). Augustine's seminal work is more geared towards contemplation of the aspiration to yearn for virtue and sanity and beauty, while Dante's seminal work is more geared towards contemplation of the pure dread of the reality of fear, pain, sin, and doom and the purgatory that resides in our imagination (regarding the consequences of moral waywardness). But let this city bear in mind, that among her enemies lie hid those who are destined to be fellow-citizens, that she may not think it a fruitless labor to bear what they inflict as enemies until they become confessors of the faith. That they must envy every other fate. Mercy and justice hold them in disdain. Let us not discuss them. Look and pass on." From these two very different excerpts, we see that Augustine was concerned with the actual spiritual *work* involved with meditations/imaginations of heaven and paradise and beauty, while Dante was more concerned with the gravity of the *consequences* of moral blindness and regret. So how should we discuss and evaluate how Augustine and Dante offered us a sort of "firmament" contrast?